After last week's gigantic 2 year celebration, Susan from The Well Seasoned Cook is our host to help kick off the third year. 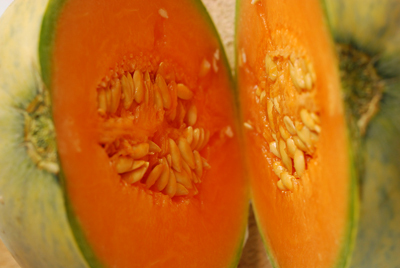 You might notice that there's something a little different about this melon. It has a number tattooed on its skin. 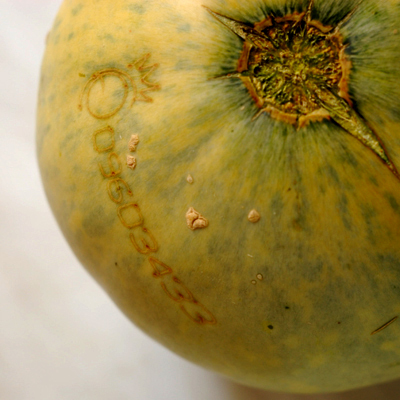 If you read the tape that wraps round the melon, it directs you to the grower's website. When you go to this page - go ahead and click this is an interactive post, type in this code number 09603433 in the appropriate spot and click ok.
A new page opens up giving you the Variety, what field it comes from and if you click the map you can see the field, it gives you picking and planting dates as well as analysis of the samples of the fruit. I've never seen anything like that before so I'm quite impressed at the technology behind this and it's all been done to guarantee the best fruit. Indeed, on tasting it proved to be a most delicious melon. For such a special melon I thought that it would be just perfect to make that classic starter of Prosciutto e Melone. Because this was a small melon, I've gotten away with cutting it in half and then into quarters to give me a good bite sized wedge of melon. 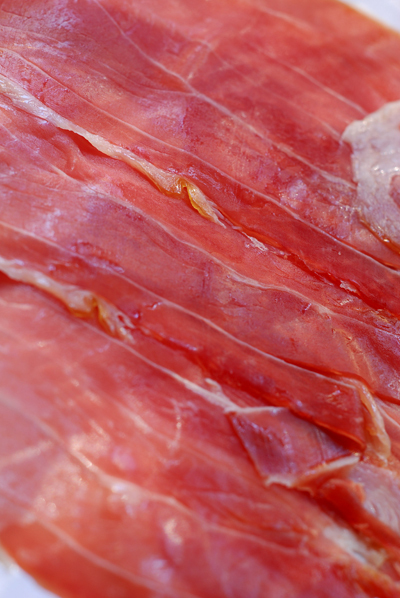 A slice of prosciutto is then simply wrapped around each wedge and placed upon the serving dish. 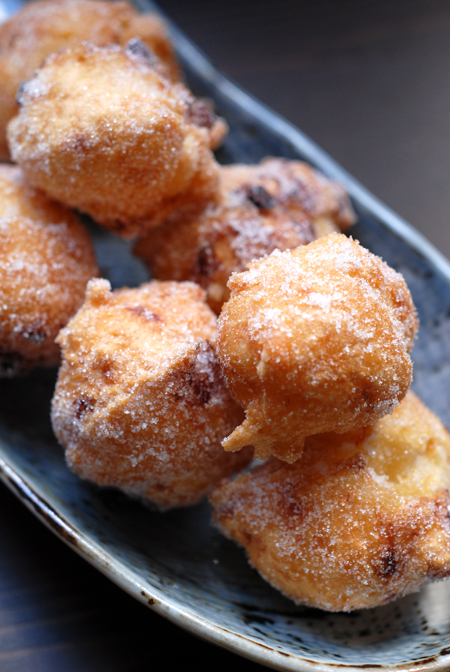 This is such a great way to start an evening accompanied by a glass of good Prosecco. How amazing! 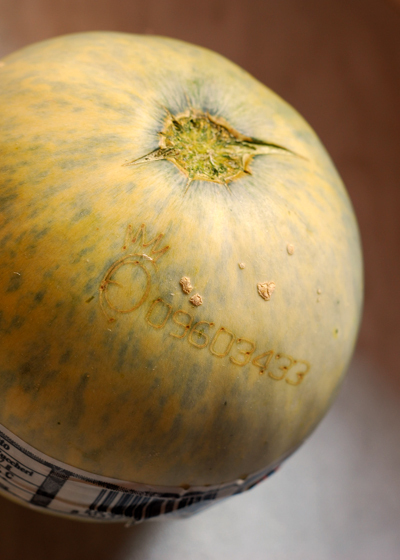 I've never seen anything like melon with an ID number! This looks so delicious. I do wish I could hop on a plane and come over and eat some with you! I went to Italy on a long cruise where we stayed for a day in several different places, and we did have the most amazing melons on the ship. This was a Greek cruise line, so I'm not sure if the melon was from Greece, but it was a 28 day cruise, so I'm guessing they got produce in various places we stopped. Wow! Unbelievable .... to be able to trace a melon. It looks really delicious and juicy. This reminds me of the French wine appellation d’origine contrôlée. Who would have thought fruit would go through such exacting quality standards? Thanks, Haalo, for treating us to an extra-special taste of local color during your travels. Heaven on a plate! There is nothing more perfect for a summer starter. Our melons are long done, I'm afraid - that one looks perfect. And how fun to be able to trace it's short life! Thanks Kalyn - there's plenty here to go round ;) I've had a few of these melons and they are just great, wonderfully juicy and seet, it's just alot of fun to actually see where it came from. Thanks Katie - it's a great dish for spring and summer and for those warmer autumn days. the melon looks like a planet with a crater. yummoi. I'm laying in bed, miserable with a fever . . . and am DROOLING over these photos. 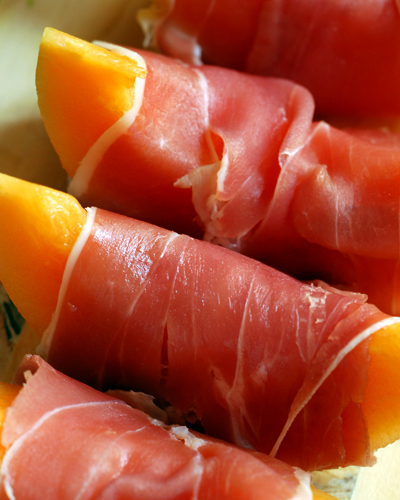 Does proscuitto and melon cure the flu by chance? Great post, Haalo! I'm sure it couldn't do any harm Lia, hope you feel better real quick! Great photos! 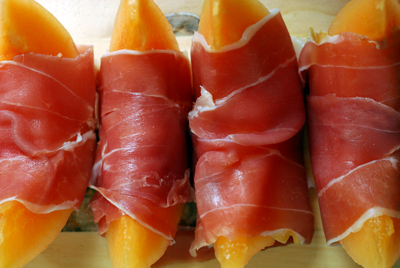 The melon wrapped in prosciutto looks really good. I grew up eating melone e prosciutto and I am happy I did. I think it is a match made in heaven: simply perfect. Love the photos. Thanks Simona - it must have been wonderful! A melon tattoo! Cool! I just got back from tokyo where similar (non tattooed, but beautifully packaged) melons go for anything from $20-$100.